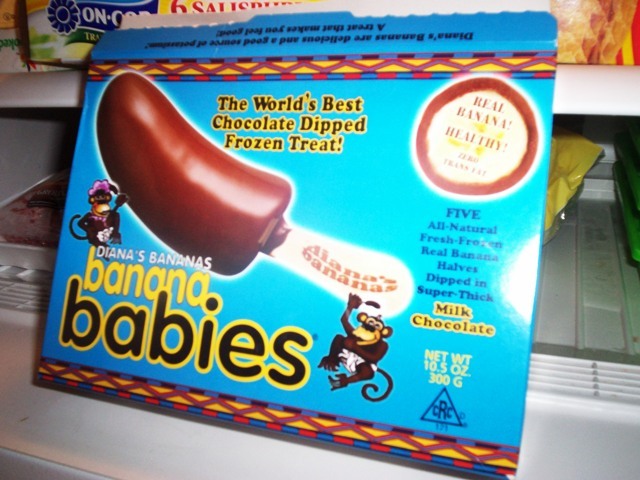 From Diana's Bananas we now have Banana Babies, the world's best chocolate dipped frozen treat. At least that's what it says on the box. It also claims to be healthy with zero trans fat and made with real banana. There are five treats to a box (which come in dark or milk chocolate) and they are all natural and contain only 130 calories each. THE VERDICT: Pretty good. They are exactly what they claim to be. It's a real banana covered in a thick coating of chocolate. They're so simple yet strong in their two dominant flavors, so you'd better like chocolate and banana if you're going to get these cause that's exactly what you'll taste. And that's a good thing (sorry Martha)! 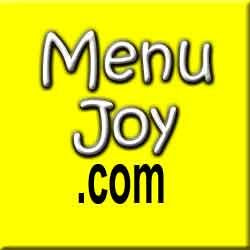 Visit our friends at MenuJoy.com for area restaurant menus.